Round Diamond Pave-Set Engagement Ring in 14k Rose Gold | Shane Co.
Sixty-six round pavé-set diamonds, at approximately .45 carat total weight, dazzle throughout this lovely engagement ring. 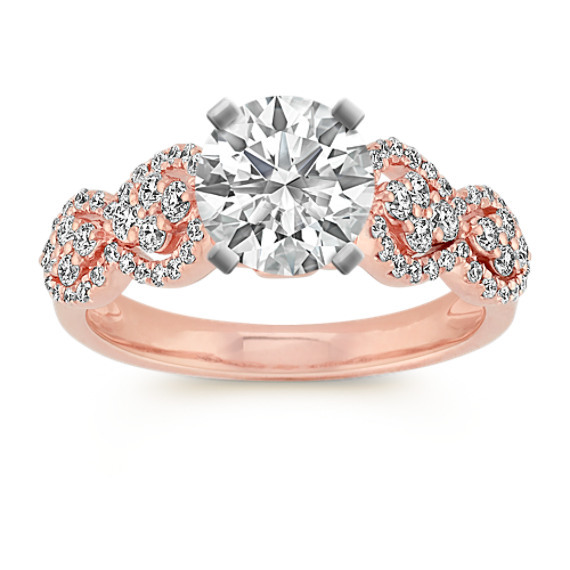 This magnificent setting is crafted of quality 14 karat rose gold and awaits to hold the center diamond of your choice. This ring is simply gorgeous, and makes the perfect home for my grandmother's half carat diamond. The diamonds sparkle like crazy, and it is very comfortable. I also love the rose gold.